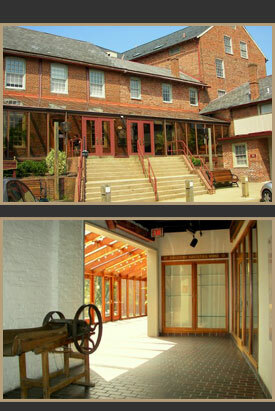 The Doylestown Agricultural Works was originally constructed in 1867 as a manufacturing center for farm machinery and for metalworking. Today, the multiple-building historically-registered complex has been painstakingly restored by American Equity Properties to create a 40,000 square foot commercial property with office and retail in a high visibility location. Its tastefully renovated shops and offices include such tenants as Talbots, PNC, Wells Fargo, Countrywide, and Slate Bleu, a European-style bistro. Although the Doylestown Agricultural Works reflects almost a century and a half of history and tradition, the property today affords its tenants with all the convenience that a contemporary commercial space has to offer.